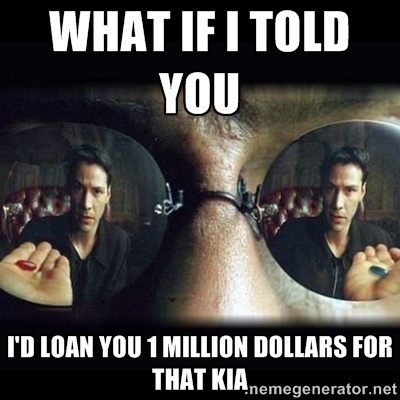 When you buy a used car in Winnipeg, or anywhere in Canada, do not even consider in-house financing. It’s a really terrible idea for several reasons that may not be immediately obvious. But trust us, after reading this you’ll never consider an in-house financed bad credit loan again. There’s no quick fix for bad credit, but if you make payments on an auto loan, you should see improvements over time. That is, if your loan and payments are reported. While many used car dealerships offer in-house financing, they’re not conventional lenders. Often they do not report to the credit agencies at all. The old philosophical puzzle, “If a tree falls in the forest, does it make a sound?” is tricky. But this one is easy: “If you make a payment on an unreported loan, does it still make a difference?” Nope. If you’re actually considering in-house financing, you probably probably need a bad credit car loan. You’re going to be paying through the teeth on interest (Sorry!). You’re paying all the interest, so you may as well get full credit for it, right? Work with a reputable lender. At Ride Time, we work with dozens of them, and may be able to help you get a lower rate than Joe. When a bank loans you money, they maintain legal ownership of your car until you pay it off. This is called an asset based loan. Sure, they might seem clingy, greedy, even a bit obsessed… but when you’re getting a used car loan, this can really work in your favor. Consider this: A bank’s “loan” is an investment. Either you pay them back, or they get the car. They hope for the best, plan for the worst, and should they end up with the car they don’t want a car that’s worthless. That would be a bad investment. Banks hate those. This keeps the price of the car in check–your bank isn’t going to let the dealer rip you (rip themself) off. There’s some comfort in knowing an obsessive banker was comfortable with the loan. You get the car and a contract legally binding you to pay off whatever ridiculous amount they are willing to loan you–which, again, is their own money they’re giving to themselves. So, you know, any number they think you’ll agree to. 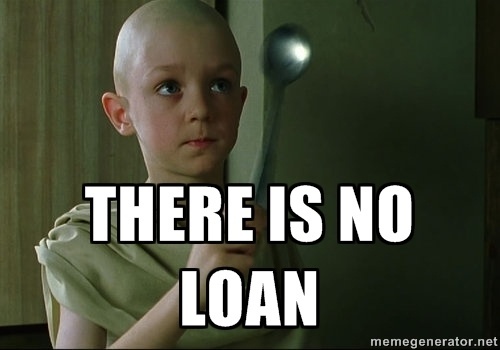 Sometimes they trap you by offering a bigger loan than a reputable lender would give you. They’re not doing you any favors. The bigger the “loan” they give you, the more you’re paying in interest and with that high interest rate… oh you’re going to pay for that loan over time. If you go the way of in-house lending, there’s nothing to keep you from getting ripped off except the kindness of the dealership. Good luck with that. Oh, and if you forgot, they’re not reporting any of this to the credit agencies. It’ll be your little secret. At Ride Time, we do not offer in-house financing. As we’ve said before, we are not a bank. We’re a family owned, community focused dealership. We want you to have a great buying experience, so you come back to us when you’re ready to upgrade. That’s why we’re so focused on car shopping and credit education. We want to help you buy a used car like you know what you’re doing, even if you buy the car from someone else.